Amazon's 7-inch Fire is already one of the most affordable tablets money can buy, but the retailer is knocking an additional $15 off the price of the tablet. The Fire is now available for just $35 in the US, and £35 in the UK. 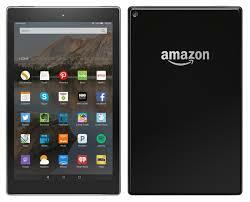 The Fire HD 6 is also on sale for $69 in the US, a discount of $30 from its retail price of $99. The Fire HD 6 offers a 6-inch 1280 x 800 display along with a slightly faster 1.5GHz processor.The deals are valid until November 29.